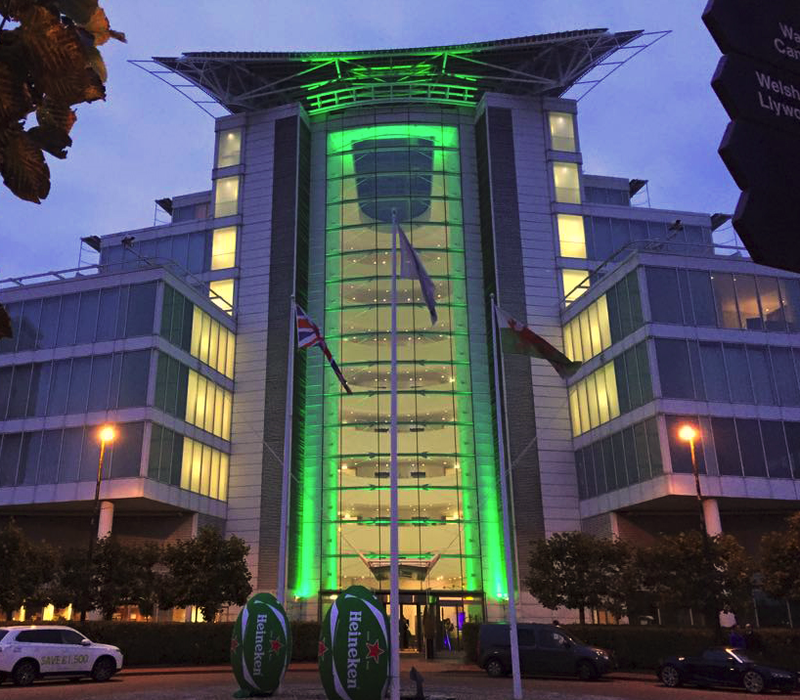 Last week Cardiff’s only five star hotel, The St. David’s Hotel & Spa, held an official Rugby World Cup evening event in association with Heineken. The evening, held on the eve of the first Quarter Final match of the Rugby World Cup, was hosted by former Welsh international player Tom Shanklin, and included a lively panel discussion between Wales international Scrum Half Rhys Webb and former All Blacks Scrum Half Justin Marshall about the Rugby World Cup so far. A raffle and silent auction were held during the event in support of the #StayStrongForOws campaign for former Cardiff Blues player Owen Williams. 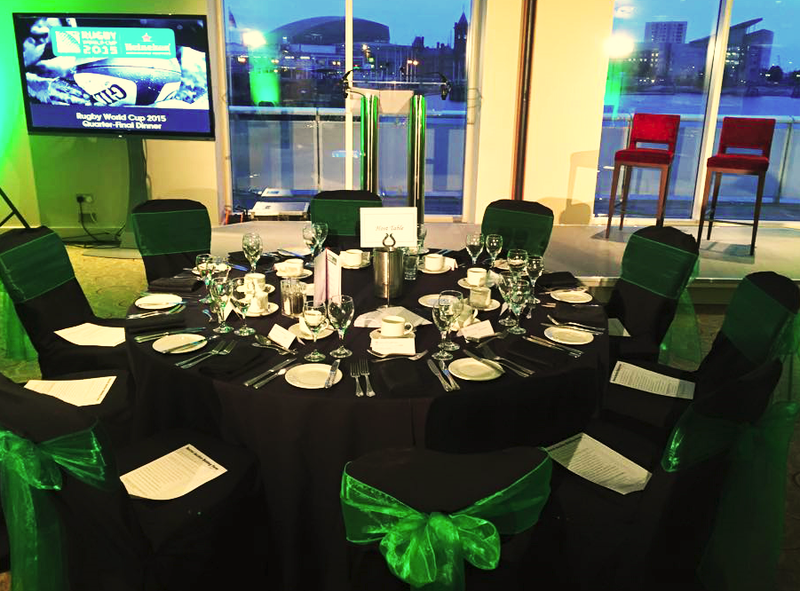 The event, which was held in the 200-capacity Dylan Thomas Suite at the Hotel, was attended by companies including Dragon Signs, Heineken, Britvic, Genero and LS Media. Owen Williams tragically suffered a serious spinal injury whilst playing for the Blues in Singapore. Since the injury, hundreds of events have been held in support of Owen and the rugby community has rallied to help raise over £200,000 for #StayStrongForOws. The raffle and silent auction combined helped to raise a fantastic £1536 for the cause, which will go towards helping to support Owen in his recovery. Graeme Barclay, General Manager of The St David’s Hotel, said: “We’re delighted with the success of the Rugby World Cup dinner and the amount raised for Owen Williams. 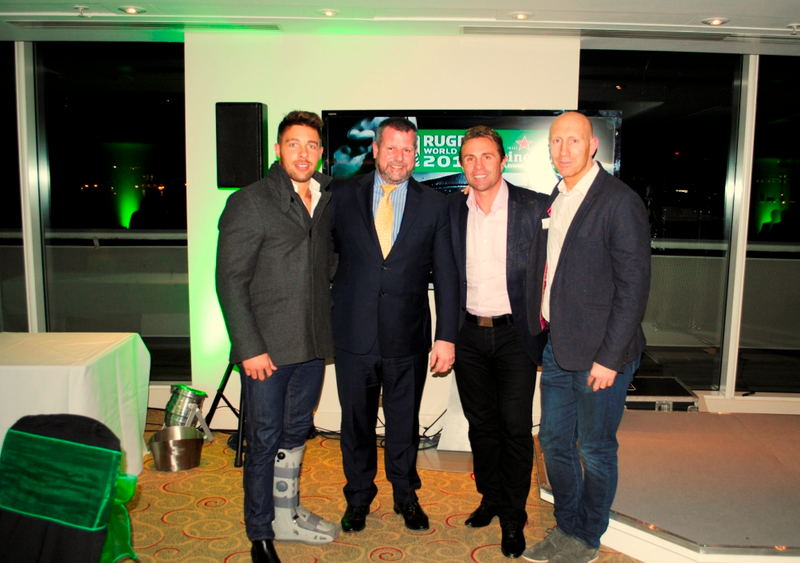 It was a pleasure working alongside the team over at Heineken and the result was an evening to remember. “We would like to thank Tom, Ryan and Justin for giving up their Friday evenings to come and entertain us. The discussion was enlightening to say the least and we can only hope that they enjoyed themselves as much as we did! Helen Davies, Player & Family Liaison Manager at the Cardiff Blues, said: “We’re extremely grateful to The St. David’s Hotel & Spa for choosing to support the #StayStrongForOws campaign at their Rugby World Cup event. Anyone who wishes to donate funds direct to Owen Williams can do so by sending a cheque to Helen Davies at Cardiff Blues, BT Sport Cardiff Arms Park, Westgate Street, Cardiff, CF10 1JA, made payable to the ‘Welsh Rugby Charitable Trust’ and marked ‘for Owen Williams’.